These aren't just Disney princesses--these are art. You see there's this hip thing they're doing on deviantART where an artist finds a coloring book page, picks a piece of classic art, and then colors the coloring book page based on the coloring methods used in the classic art piece. With lovely results, I might add. The princess's name links to the original image. 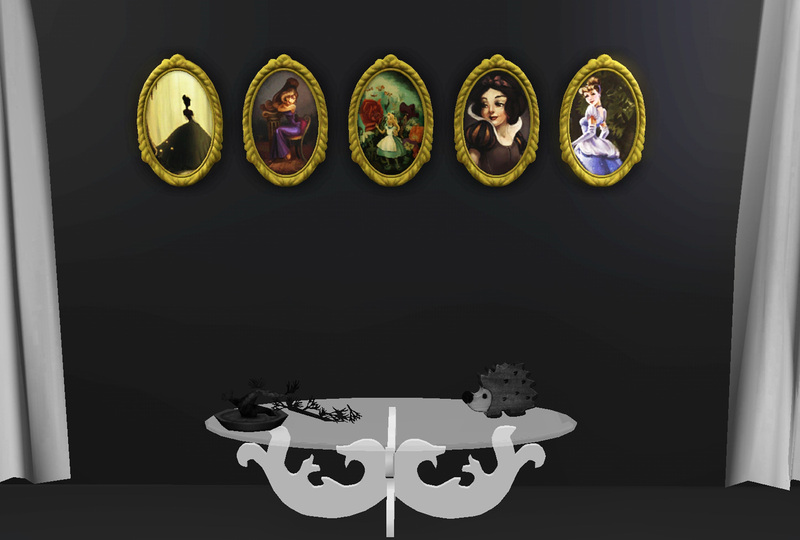 I can't find the Belle though! Ugh, frustrating. Thanks to Brittany for finding Belle for me! These were cloned from some Eaxis mesh. 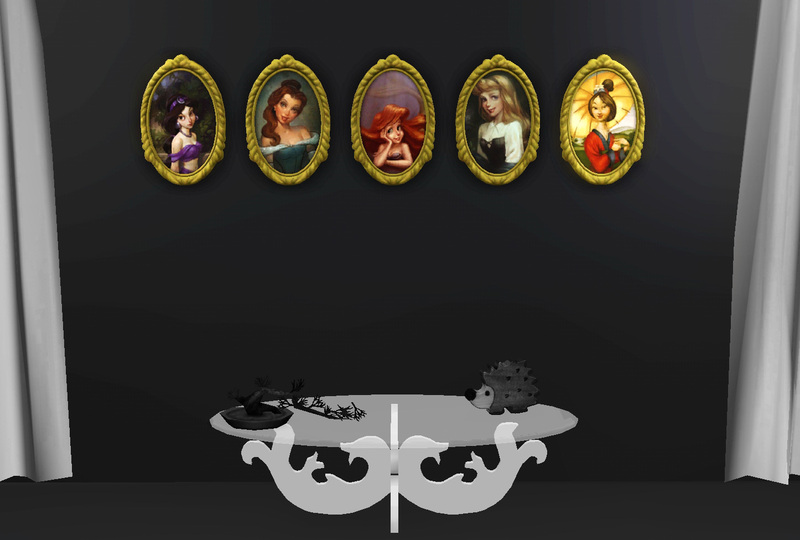 All ten images are in one file entitled Portrait of a Princess, which can be purchased for your Simmies for $175. Click an image if you wanna see it bigger. Thanks to cmomoney for the tutorial and orangemittens for the extra help in overcoming my own stupidity. P.S. Ariel is the best princess. Hi, so glad I can comment now. I've been wanting to let you know that I think these are great and can't wait to see them in my game. She's by Ryan Wood who started the trend, I believe. As far as I know he's not on DA. Post updated! Thanks a ton; I knew Belle had started the trend and was so frustrated I couldn't find it.